On June 16th our group met in the lobby of the Jury's Inn in the beautiful city of Edinburgh, Scotland. We traveled about 60 miles down the North Eastern coast of England. 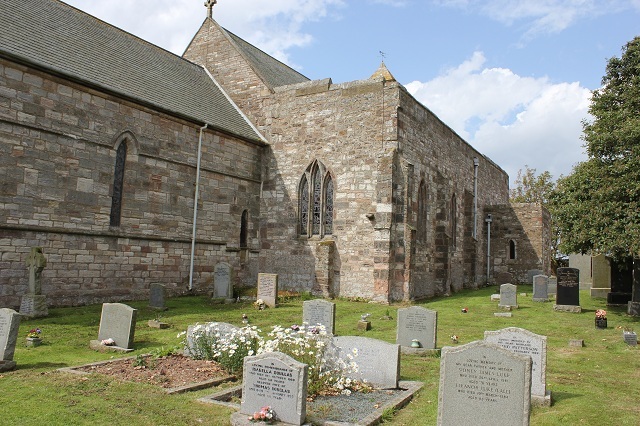 Church of St Mary and Lindisfarne Priory Ruins. 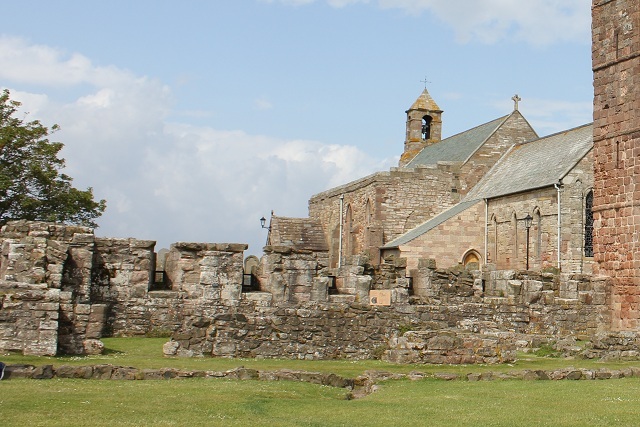 The monastery of Lindisfarne was founded by Irish monk Saint Aidan, who had been sent from Iona HERE off the west coast of Scotland to Northumbria at the request of King Oswald ca. AD 635. 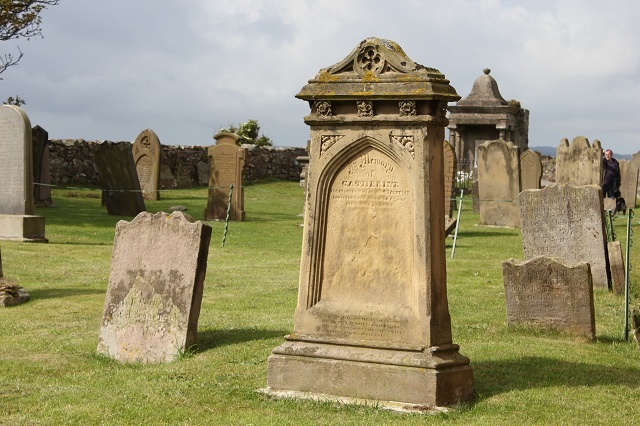 Northumberland's patron saint, Saint Cuthbert, was a monk and later Abbot of the monastery. 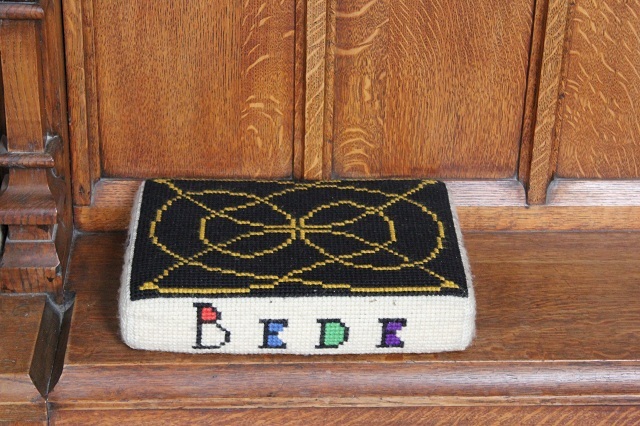 His miracles and life are recorded by the 'Venerable Bede'. 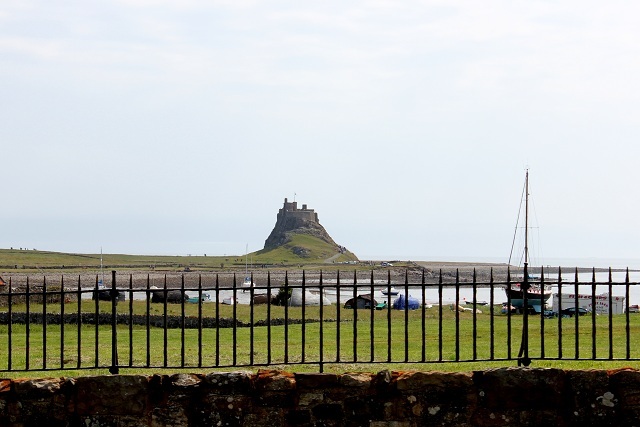 Lindisfarne is only accessable by using a causeway at low tide, the incoming tide is very swift and can catch the unwary. 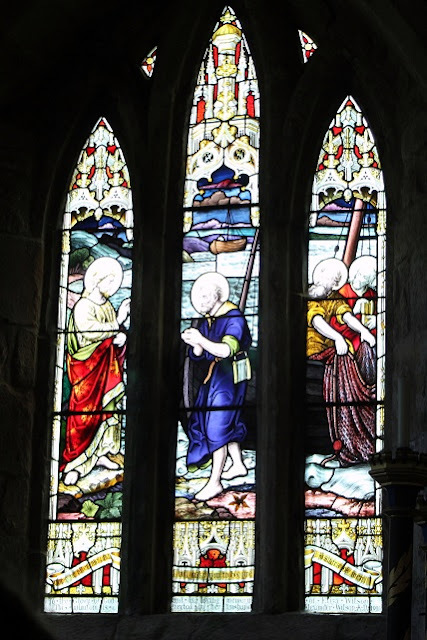 At some point in the early 700s the famous illuminated manuscript known as the Lindisfarne Gospels, an illustrated Latin copy of the Gospels of Mathew, Mark, Luke and John, was made probably at Lindisfarne. 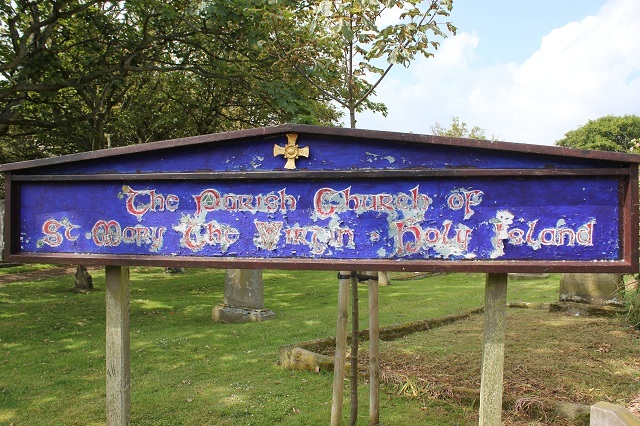 In the second half of the tenth century a monk added Anglo-Saxon(Old English)gloss to the Latin text, producing the earliest surviving Old English copies of the Gospels. The Gospels can now be seen seen at the British Library in London. While staying in London on the last evening before returning to the United States I had the privilege of viewing the sole surviving copy of the Lindisfarne Gospels at the British Library. OH MY GOSH!!! 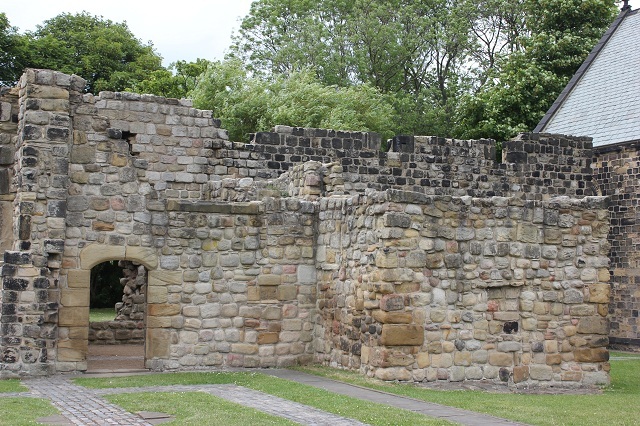 The ruined monastery is in the care of English Heritage. 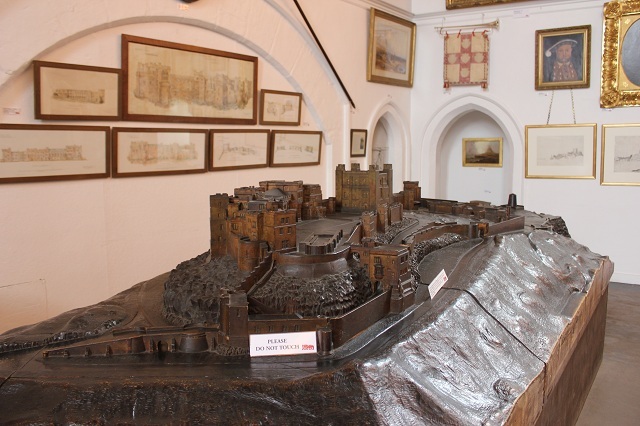 From the realm's foundation in c420 until 547, the year of the first written reference to the castle. 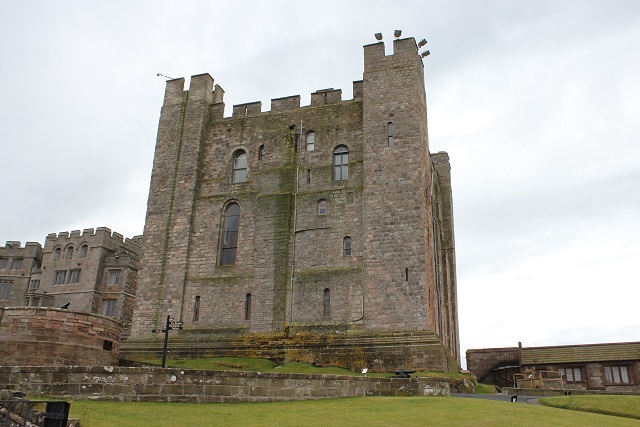 ﻿The castle deteriorated but was restored by various owners during the 18th and 19th centuries. 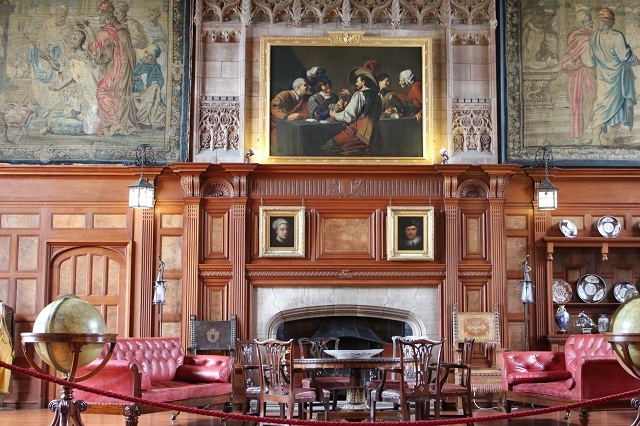 It was finally bought by the Victorian industrialist William Armstrong, who completed the restoration. 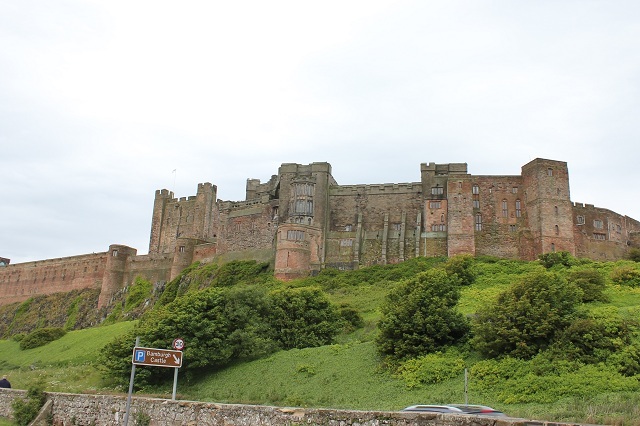 After visiting The Bamburgh Castle we traveled back to a comfortable country house in Northumberland near Berwick-upon-Tweed. 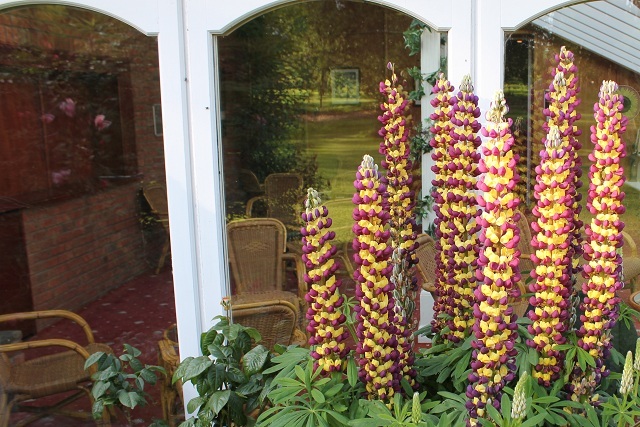 The Marshall Meadows hotel stands in 15 acres of beautifully mature gardens and woodland, near the doorway between England and Scotland. The elegantly and carefully decorated Georgian mansion overlooks the gardens. Dinner was served at Seven in the evening. After dinner I walked around the grounds and admired the beautiful gardens. 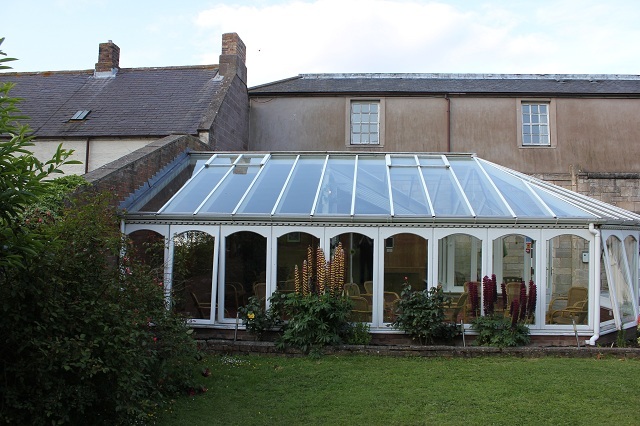 The sun room was beautiful inside and outside. The next morning on Friday June 17, 2011 we drove to St Peter's Church in Monkwearmouth, England. 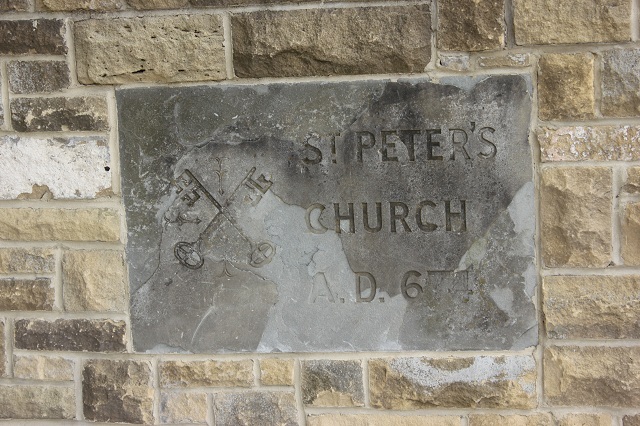 St. Peter's, Monkwearmouth was built in 674 AD by Benedict Biscop. 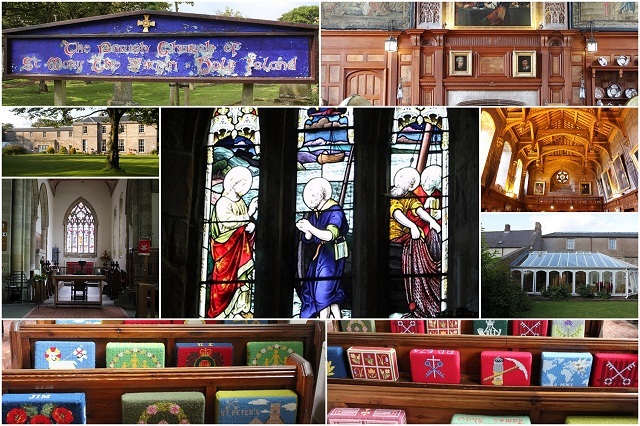 St. Peter's is one of the oldest churches in Britain, where Christians have gathered for more than 1300 years. 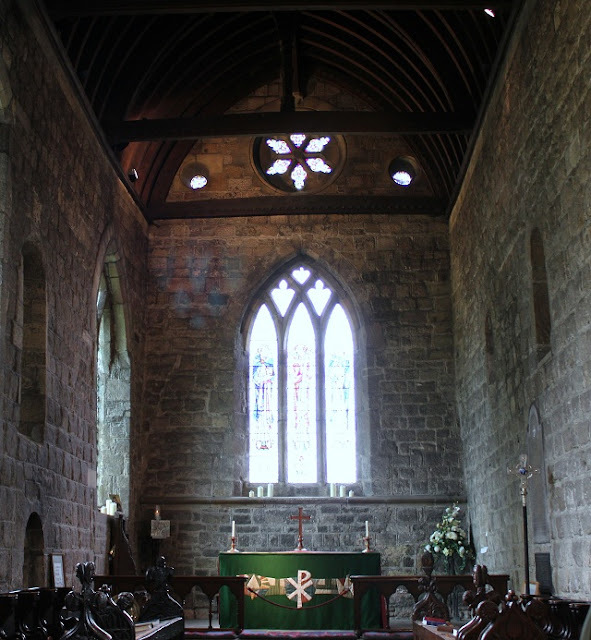 Parish of Monkwearmouth, Sunderland in the Diocese of Durham. 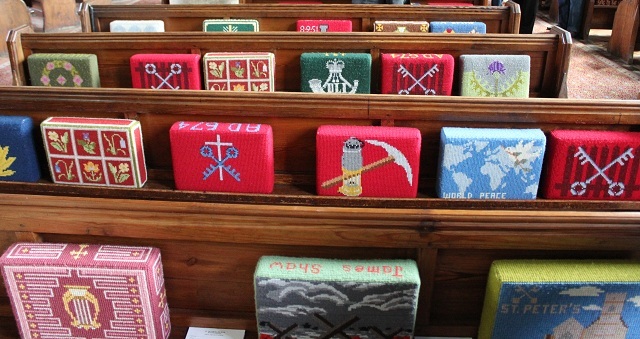 One of the best things I loved best about my trip to England was visiting churches and seeing all the lovely needlepoint kneelers. 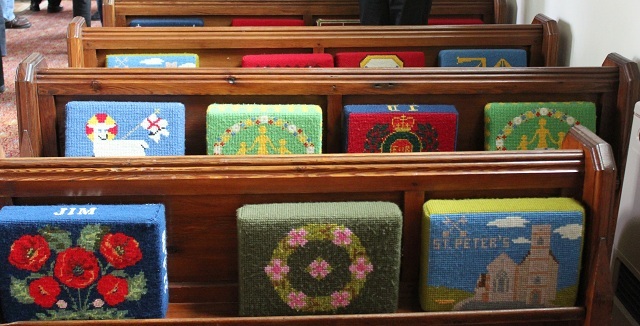 Kneelers is the term for the padded cushions or individual hassocks you use to protect your knees in church.. If you don't have kneelers and kneel on the floor, you get "chapel knees." 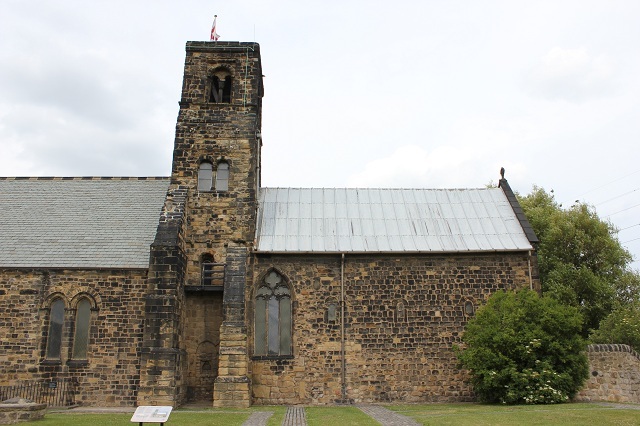 We proceeded to St. Paul's Church in Jarrow. 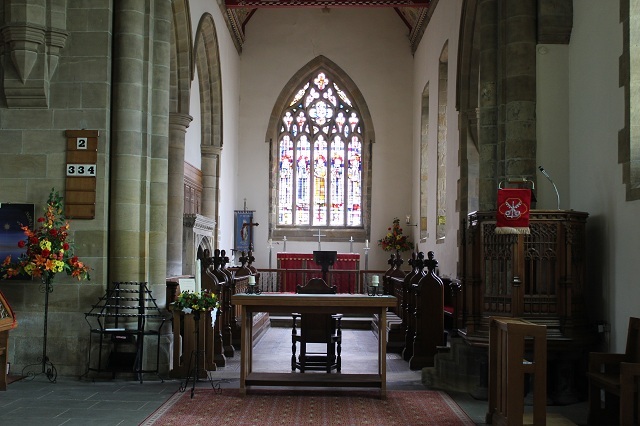 This year the "Binns" church organ is 100 years old. 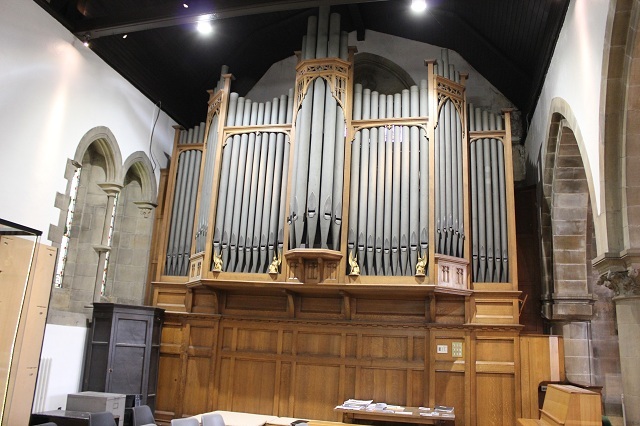 The organ was built by J.J.Binns of Bramley near Leeds in 1911. The organ which was originally hand-operated, was fitted with an electric blower in 1937. By the mid 1990s it was beginning to show its age and a rebuild became a priority. It was completely rebuilt in 1997. In this chair, St. Bebe sat only hours before he died. During Bebe's lifetime he wrote over sixty books, which included manuscripts and commentries on the scriptures, and his writing are immense interest to current day historians. Unfortunately most of the books he wrote are believed to have parished during the Viking invasions of the monastery in the 8th and 9th centuries. His most famous book still available in print today is "The Ecclestastical History of the English People." This book is regarded as the first recognisable written history of England, covering the period from the Roman conquest until the decades that preceded the first onslought of the Vikings. Bede completed this book in AD 731, four years before his death. The Ecclestastical History of the English People was the book we used as the guide for our journey to Scotland and England. Oh My Gosh!!! Lots of information! 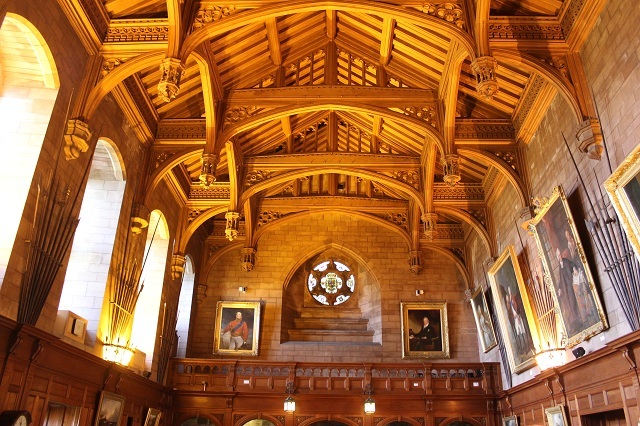 Oh the architecture, stained glass and tapestries are just jewels! Your photos are so beautiful and I am glad that I shared that trip with you, too! Amazing blog!